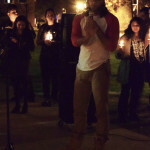 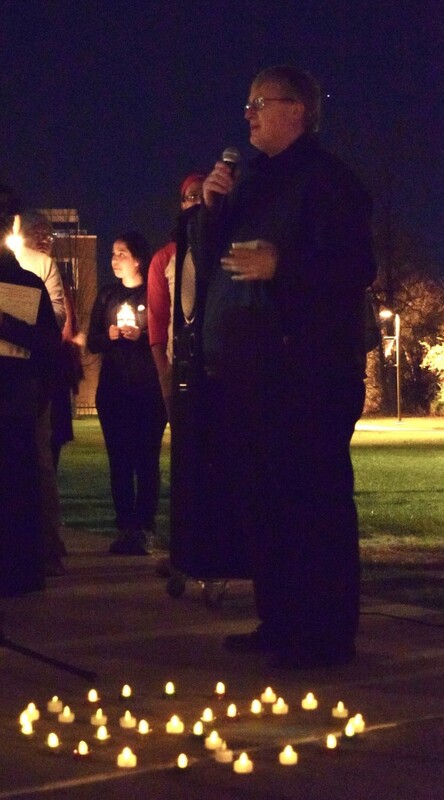 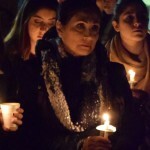 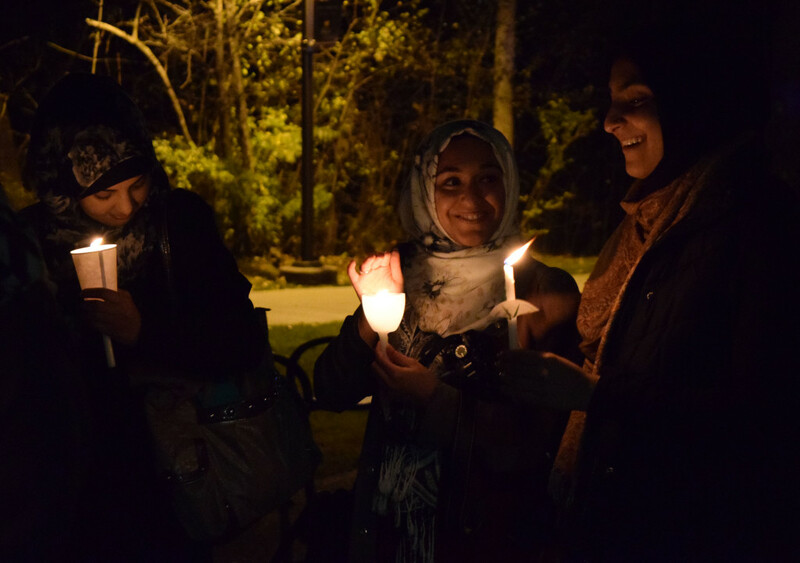 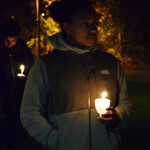 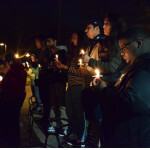 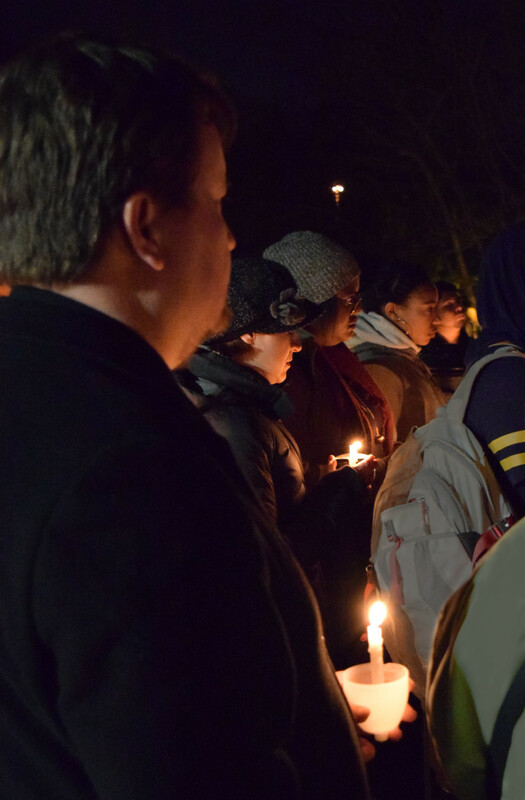 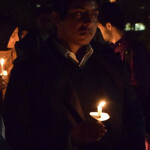 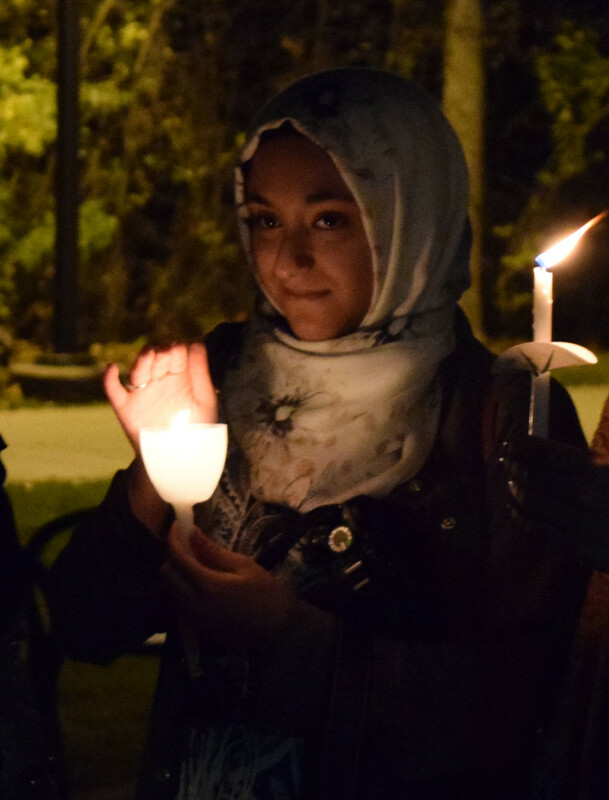 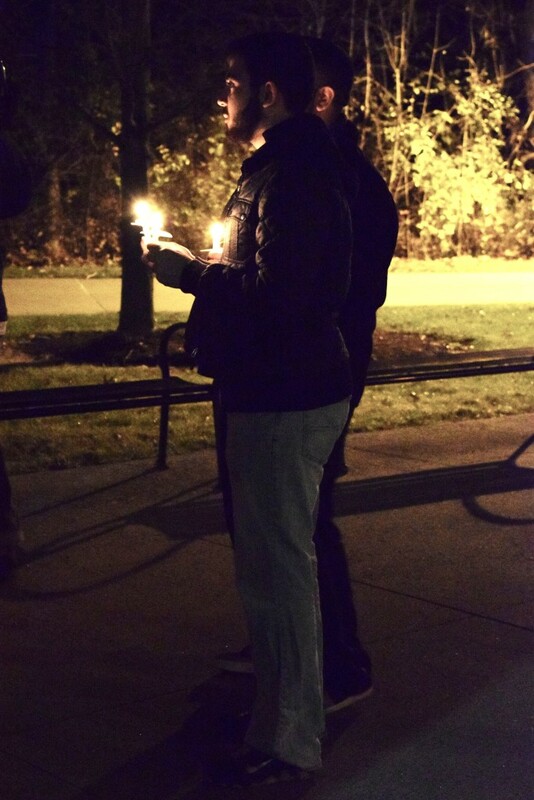 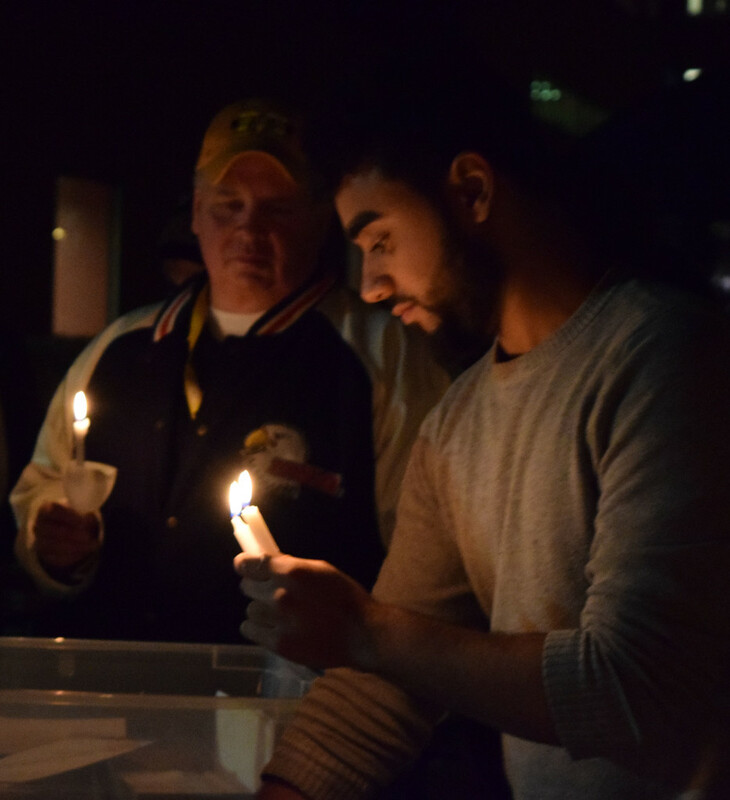 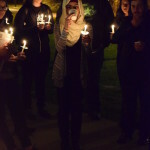 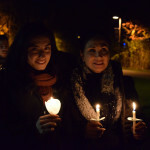 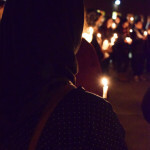 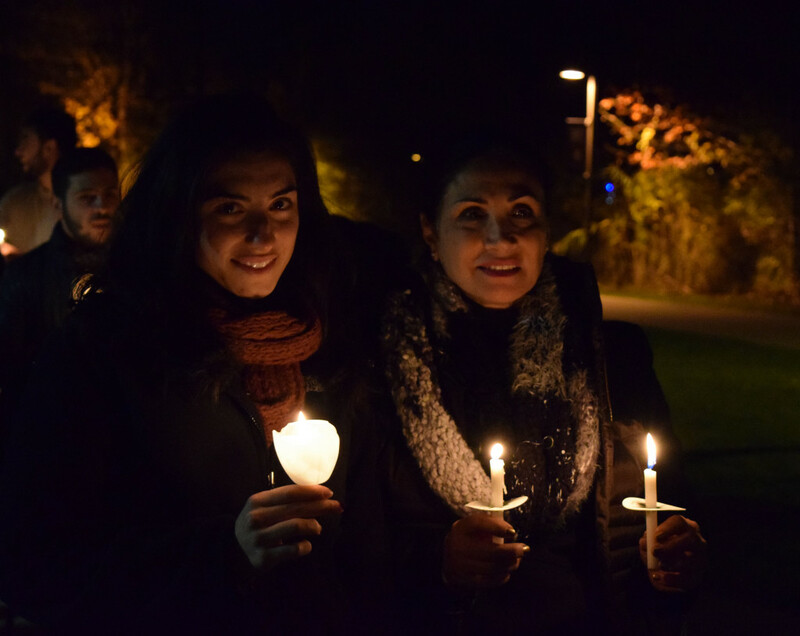 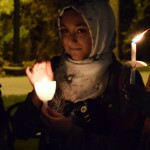 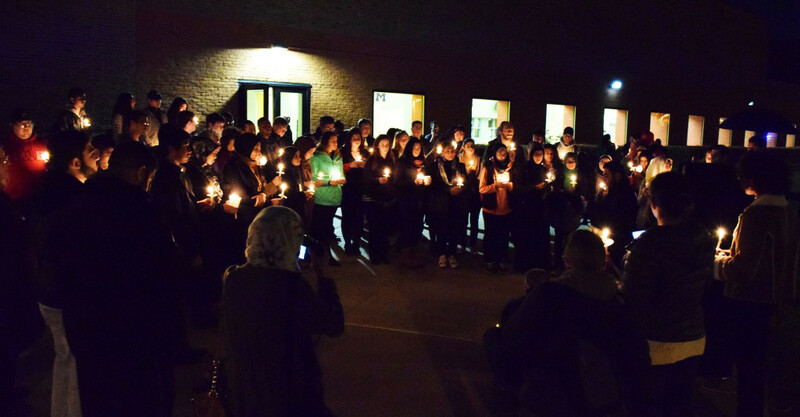 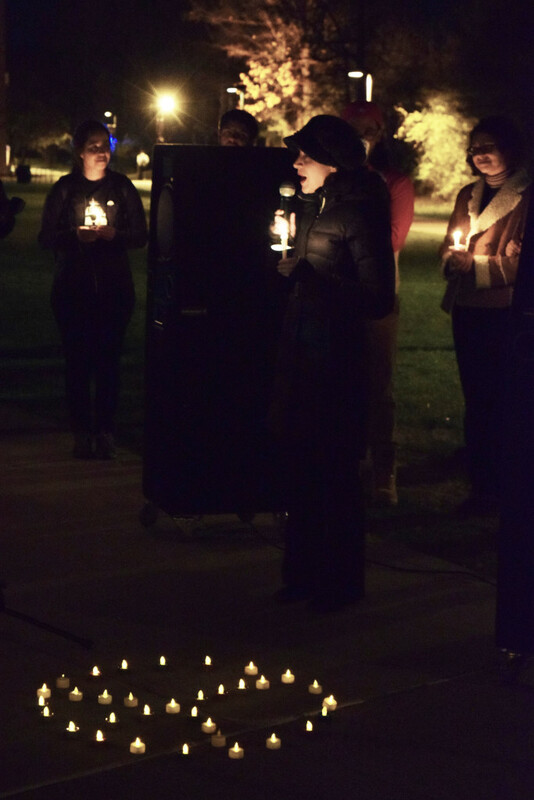 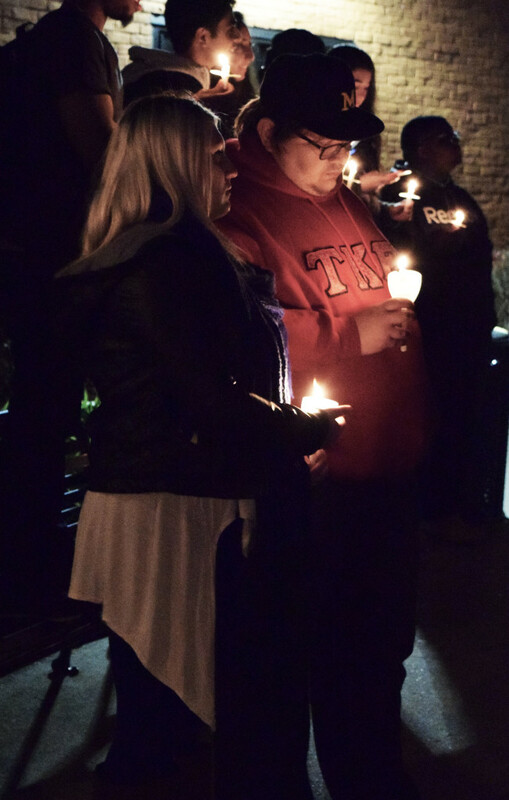 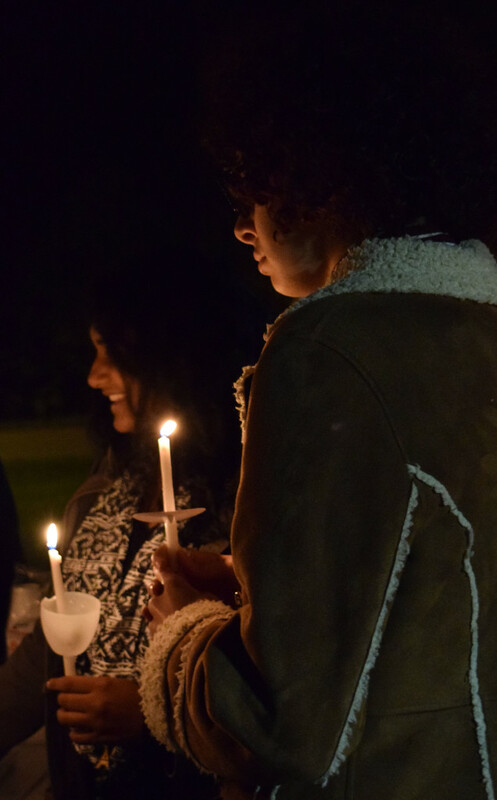 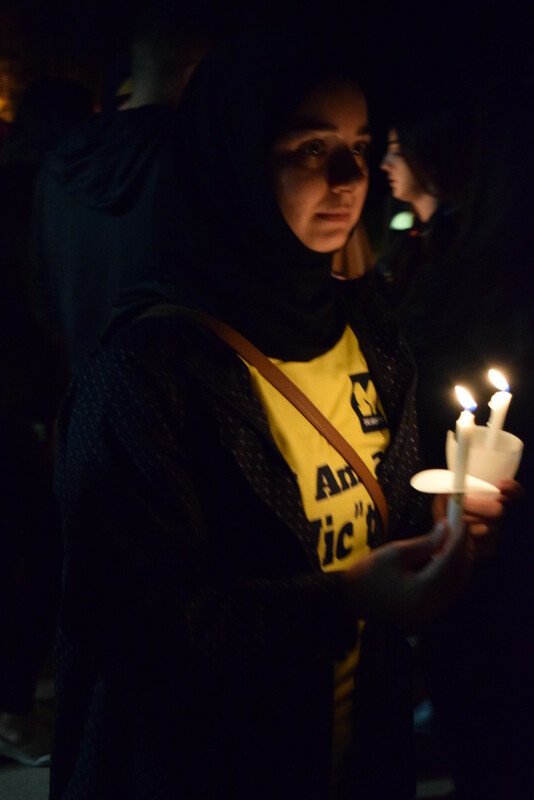 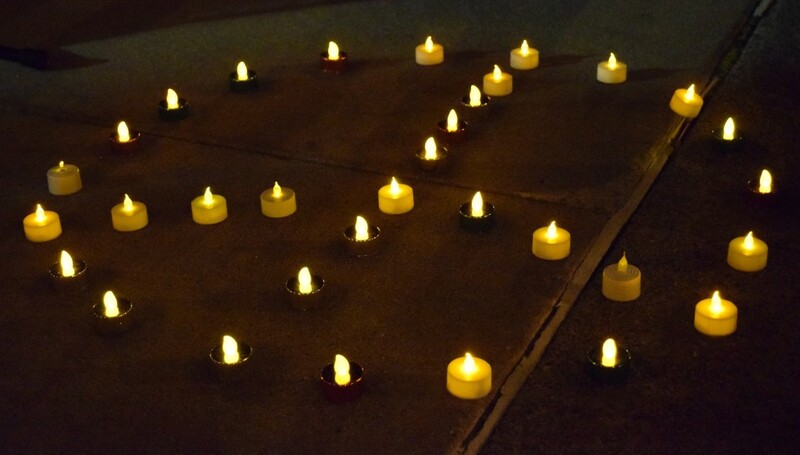 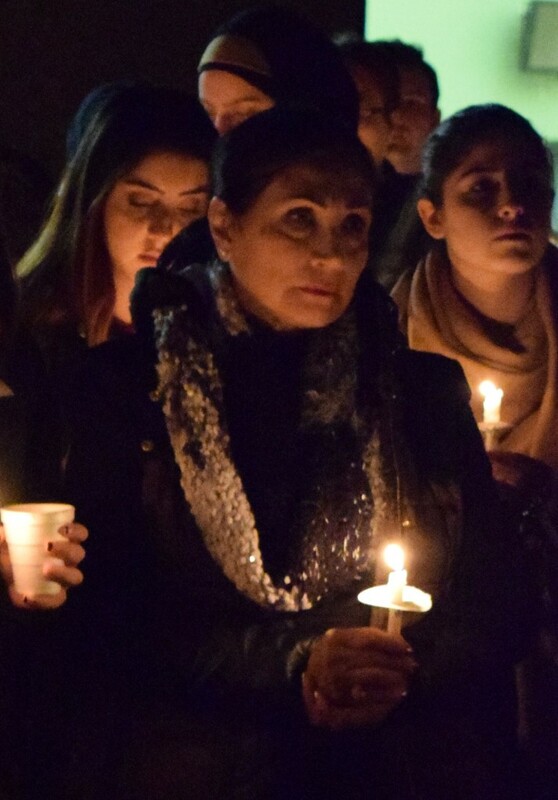 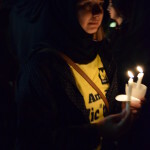 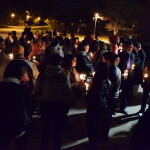 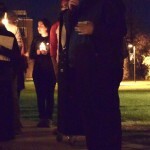 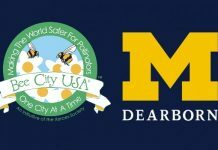 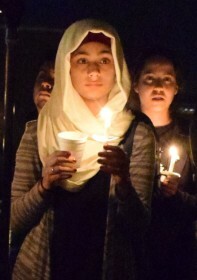 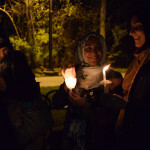 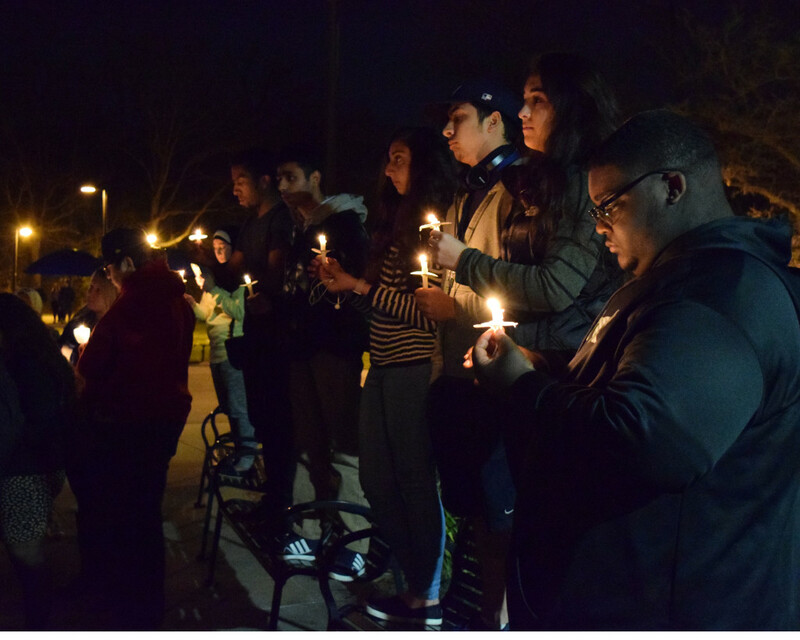 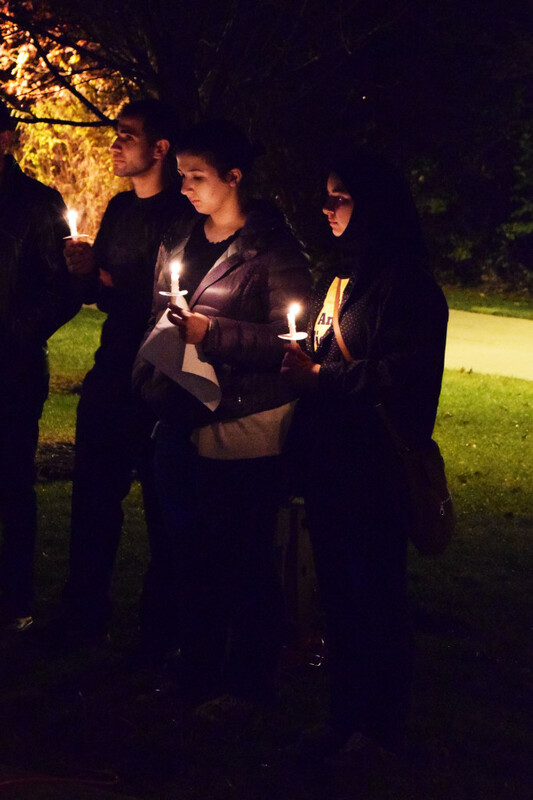 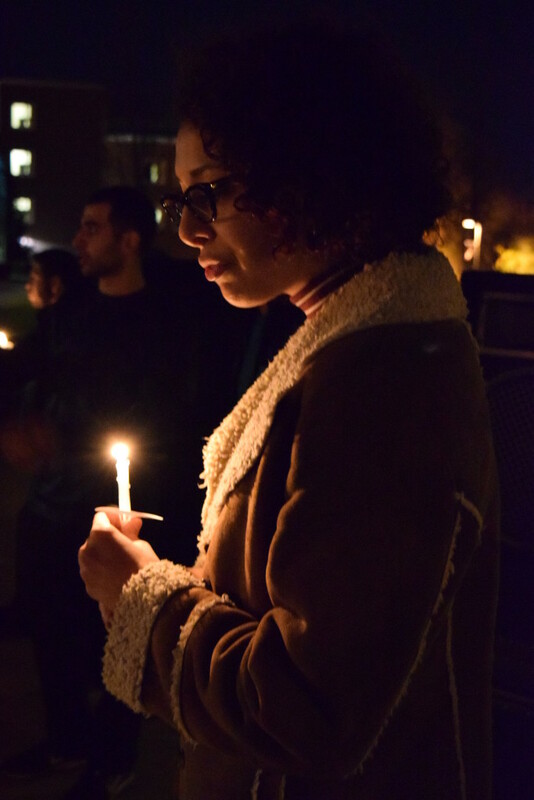 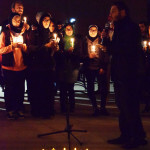 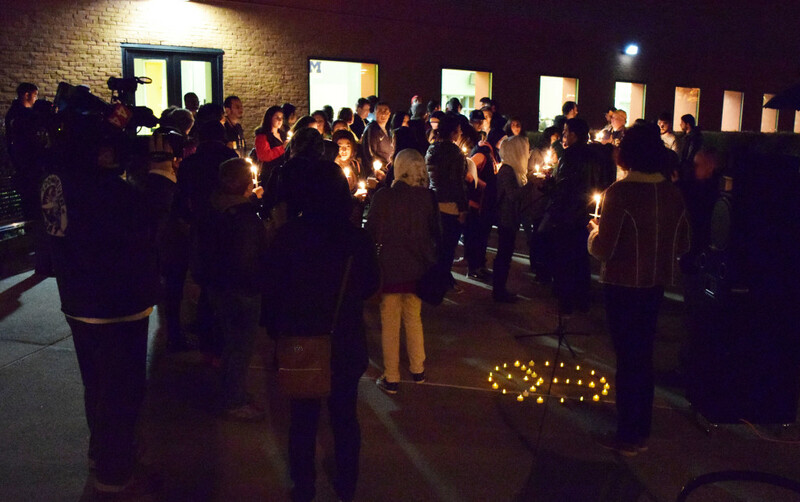 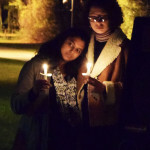 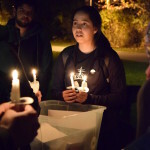 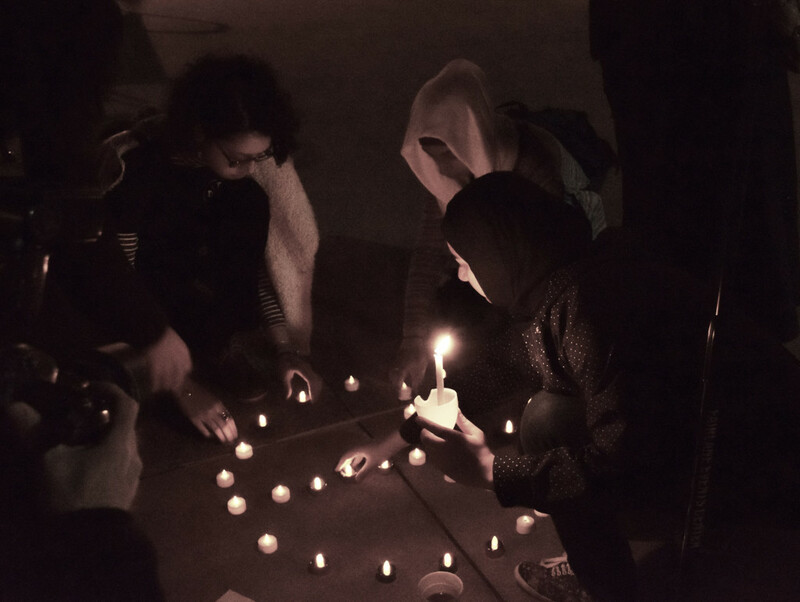 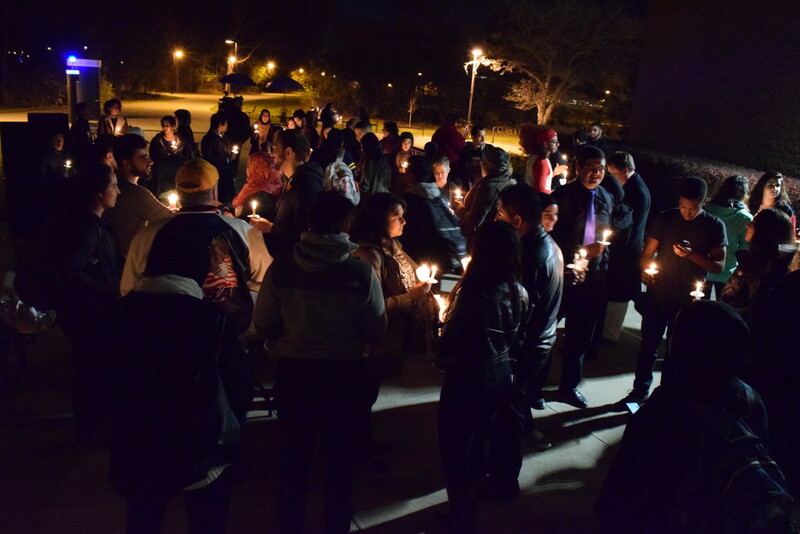 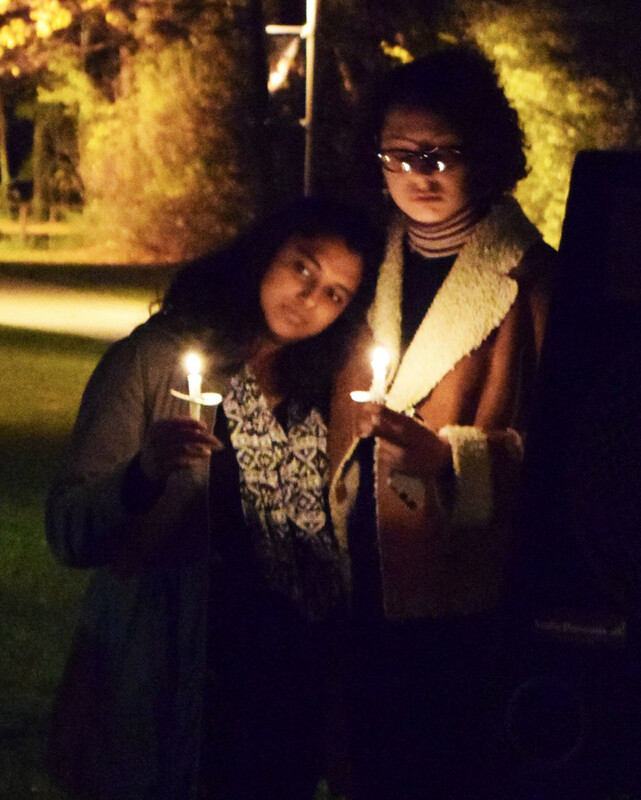 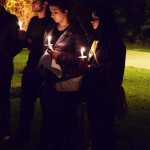 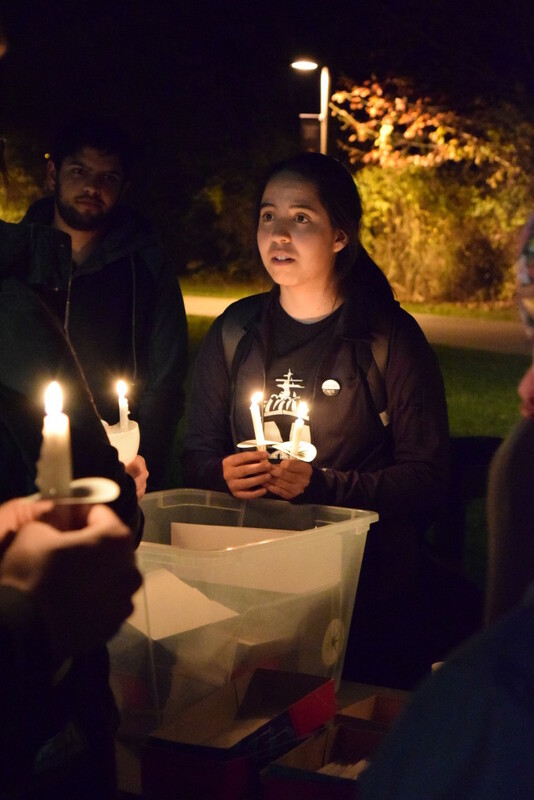 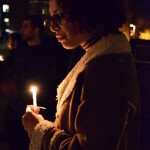 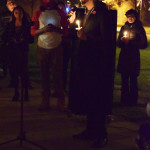 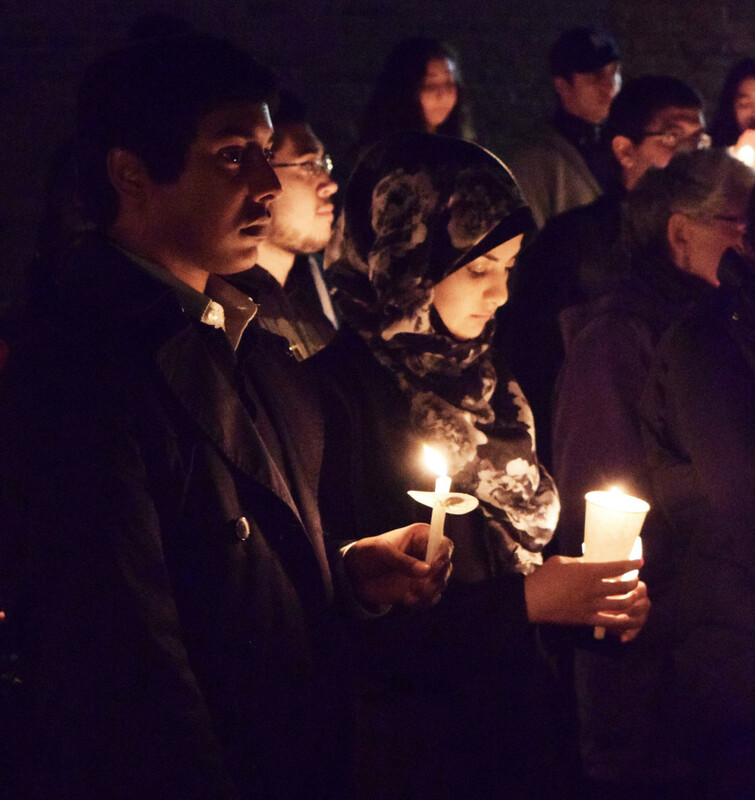 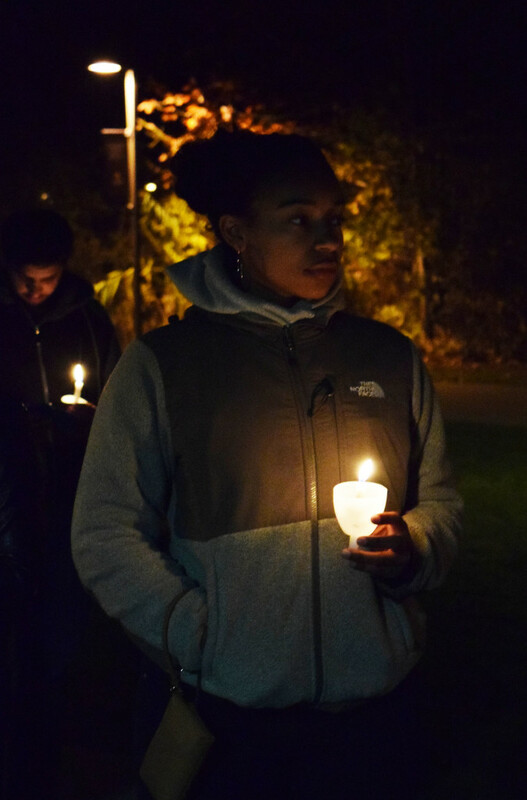 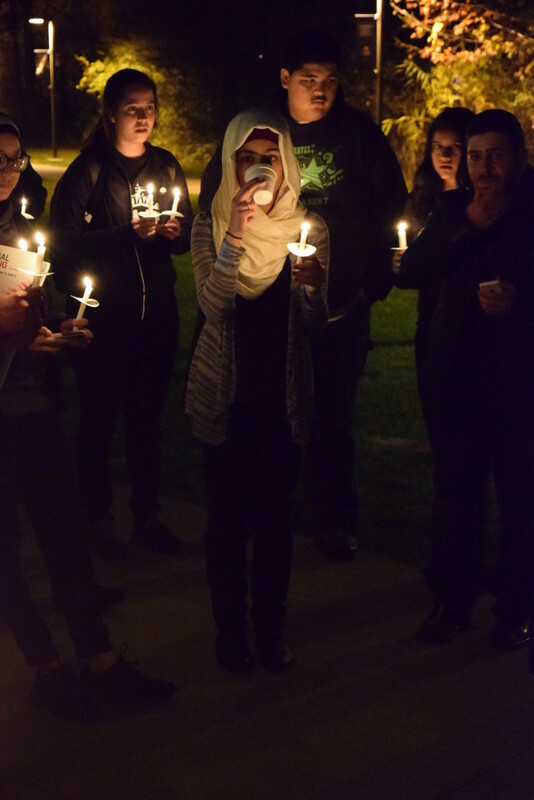 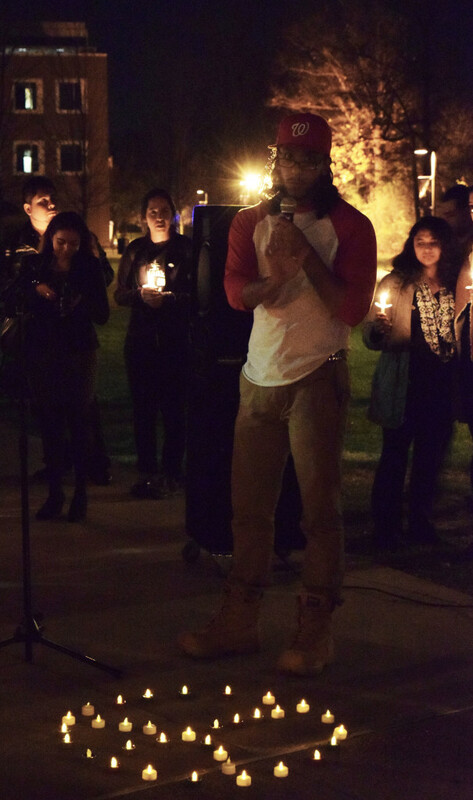 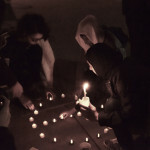 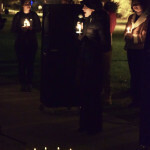 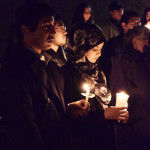 Students at the University of Michigan gathered together the night of Monday, Nov. 16 for a candle light vigil in remembrance of those persons lost during the recent terrorist attacks which shook the lives of so many during the last few days. 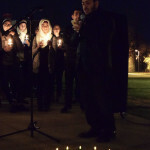 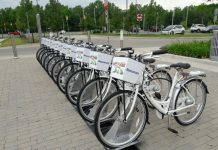 The event was organized by the Social Justice League and led by league member Mohammed Alziyadi as master of ceremonies. 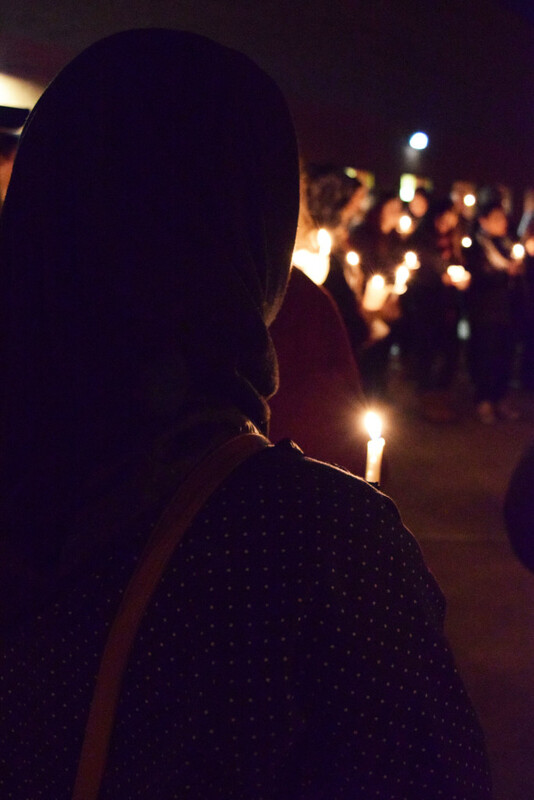 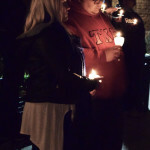 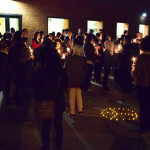 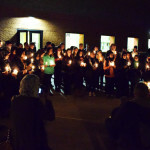 Students and faculty alike joined together to offer prayers and support in this time of need. 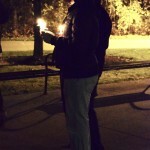 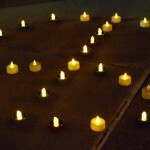 Candles were lit and soon the university’s backyard was aglow with their warm light. 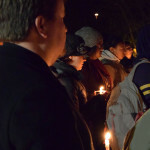 Photographers and a member of ABC News’ camera crew appeared to document the event. 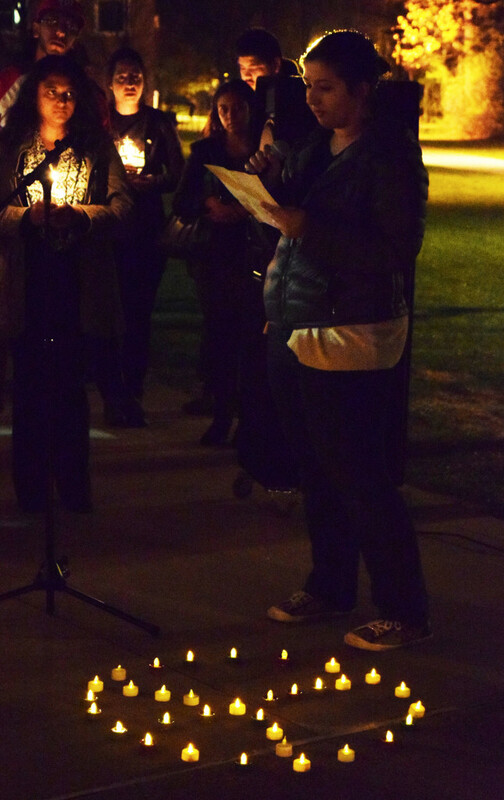 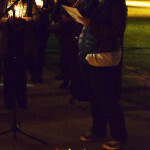 The vigil began with a few words of introduction from Alziyadi. 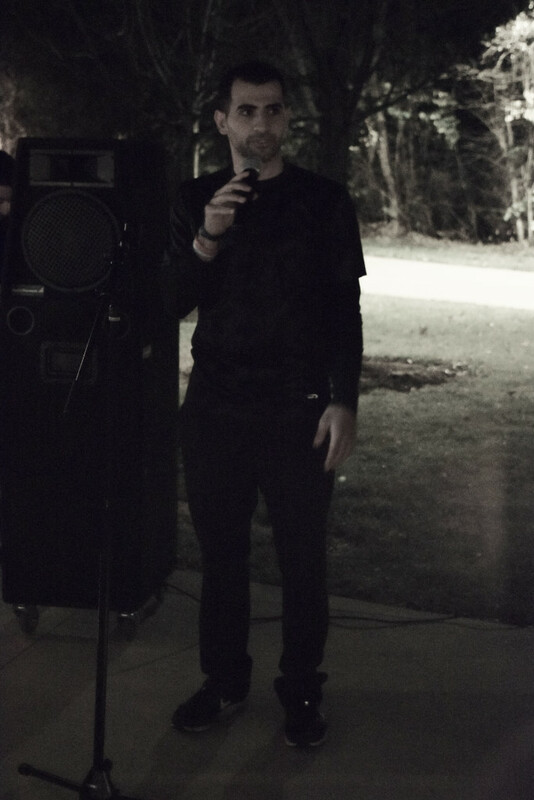 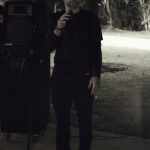 Following his speech, a member of Orphan Relief approached the microphone to perform a poem of his experiences with the tragedy of terrorism and the effects they have made in his life. 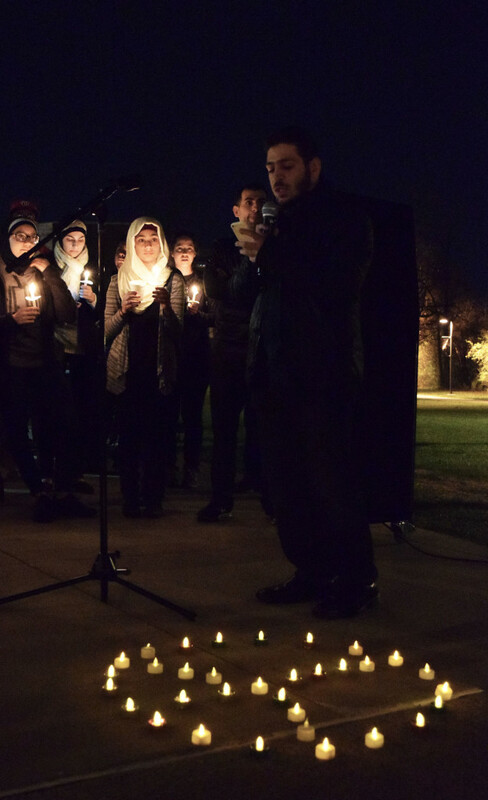 Students Bayan Jaber and Rayann Yassine also spoke to the crowd, asking attendants to pray for Paris and Beirut. 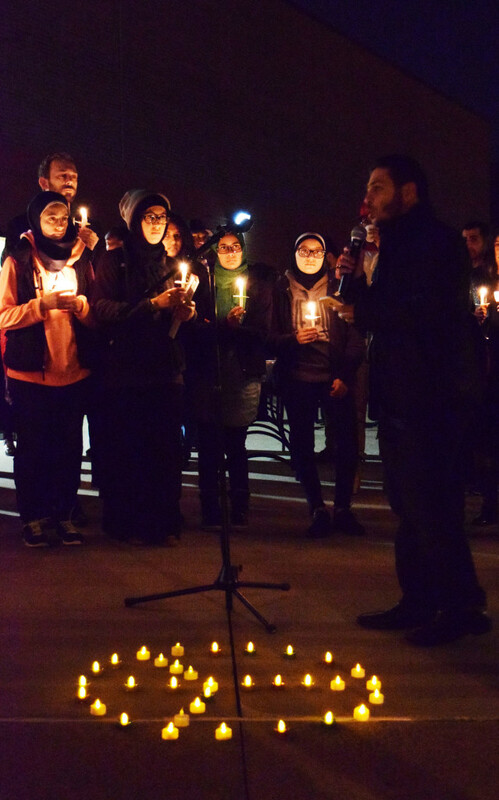 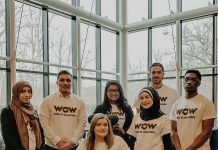 Mohammad Elchawich provided statistics of deaths caused by acts of terrorism as well as expressed his belief that love shared within neighborhoods and communities is what will ultimately defeat ISIS. 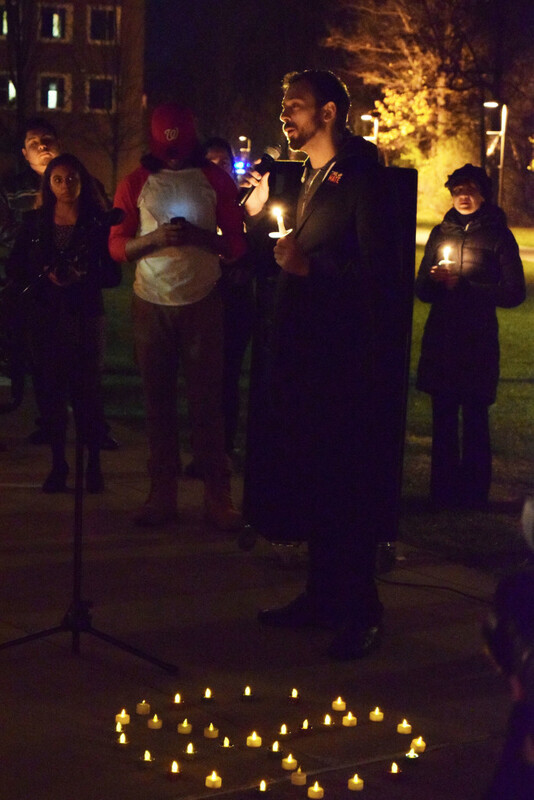 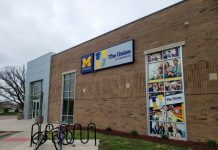 UM-Dearborn alumnus and running State Representative, Brian Stone, was one of the night’s final speakers. 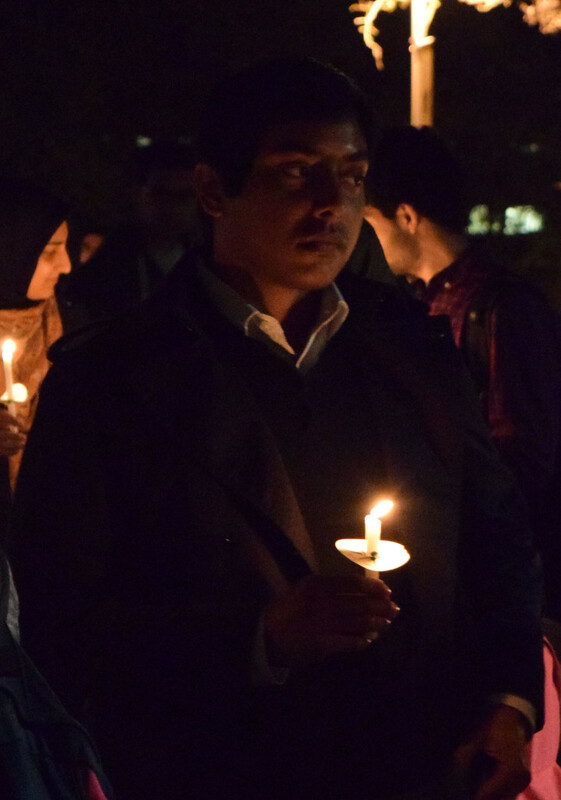 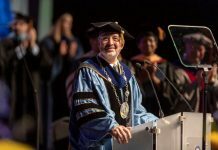 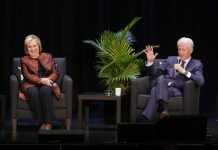 He took a moment to remind students and those in attendance that terrorism has neither a face nor part in any religion and that this time is one in which we all must stand together to overcome the feeling of insecurity and fear. 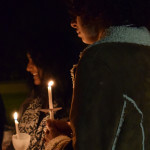 The ceremony ended by inviting audience members to share their stories or advice on the recent occurrences.